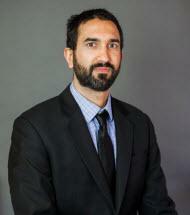 Anand Purushotham practices in the area of personal injury law. He handles a variety of injury cases, ranging from motor vehicle collisions to premises liability cases. He also has extensive experience in no-fault arbitration. Additionally, Anand practices in the areas of workers’ compensation and insurance coverage.